View the Leader Kit here which contains this resource, the lesson planning document, and slide presentation. The Leader Kit is available on DVD or on Flash Drive. Isaiah! The largest book in the Old Testament. Prominent among prophetic writings. See and hear the word of God through faithful witness of this prophet as he reveals what God would say to us with reverence and compassion. 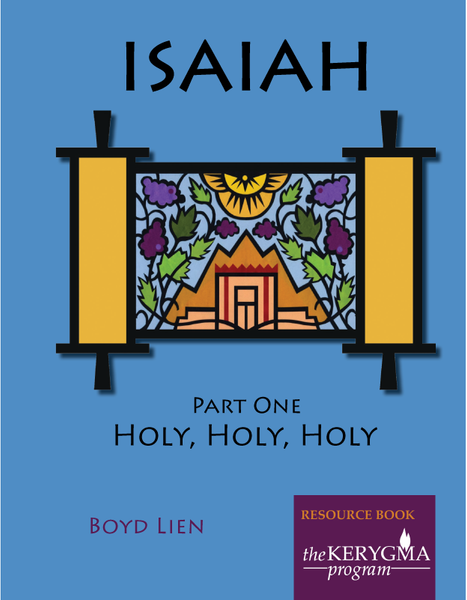 Isaiah’s extraordinary visual vocabulary can engage the heart and fire up the imagination. Describing what it was like to be in the presence of the Holy One, the Lord of Hosts, is just one example. Find more Old Testament Studies or additional The Kerygma Program products.